Hong Kong may have seven million residents and the most skyscrapers of any city in the world, but it is not solely an overcrowded urban jungle poised to spread the next global pandemic from Guangdong Province to the world. Hong Kong is also green and gorgeous. Near the top of Tai Mo Shan, Hong Kong’s tallest mountain (1,000 meters). 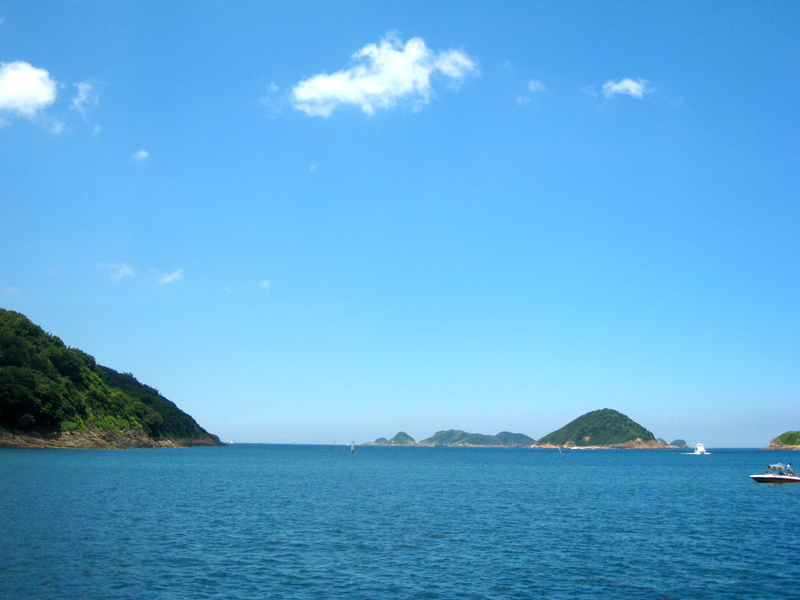 View from a junk boat near Clearwater Bay. 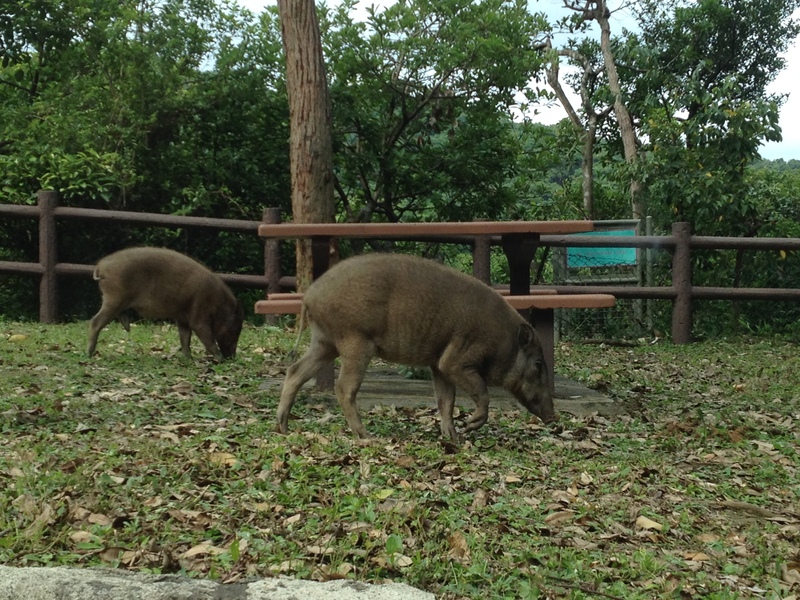 Wild boar in Kam Shan Country Park. View from Ma On Shan across the Tolo Harbour. 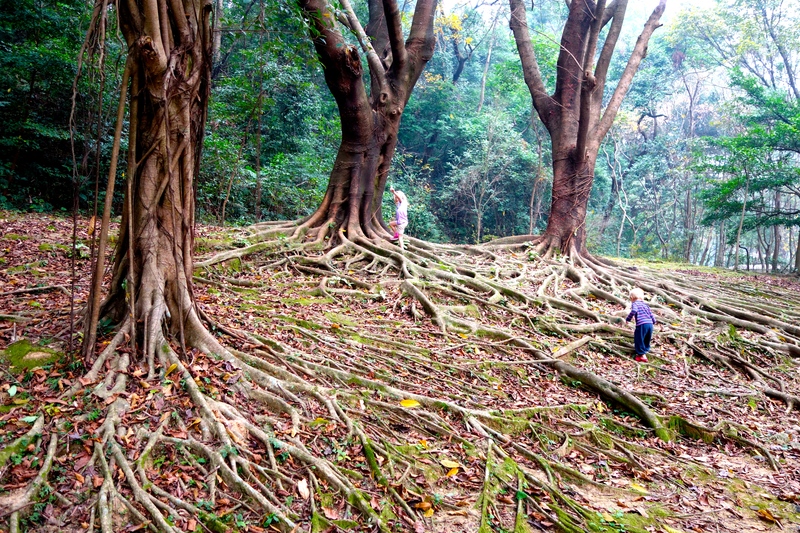 Trees in Mui Shue Hang Park, Tai Po. I may have spent the past two weeks in the American Pacific Northwest watching eagles and catching crabs, and yet I still already miss this special green side of Hong Kong. Someone was trying to convince Æ to apply for a job in HK recently (it’s like, you’re moving out and we have to preserve the law of conservation of expats) and one of the big draw cards would be the greenery of HK. Singapore is probably greener in the city, and it has its natural spaces, but HK has actual mountains and is just more open when you get out there. Ah yes, the Law of Conservation of Expats: expats cannot be created or destroyed, but can only change form. Haha. Well. I don’t think he’s that keen on the job, actually. The schooling did come up as an issue (although as P is about to change schools anyway he also said it might be good timing). You had a post about schools in Hong Kong. I don’t remember you speaking glowingly of either the local or available international options. Ah – it’s talking about the Netherlands. So when it comes to Hong Kong – I mean, in Singapore we’re spoiled by a good local school system which is way more affordable than international schools (not to mention the standard of education). But that doesn’t seem to be the case there? There is the ESF (English Schools Foundation) system in Hong Kong which is partially subsidized by the government, but it still costs nearly as much as private international schools (and I think they’re reducing or cutting the subsidy). Other locals schools use Cantonese, but I have heard of some expats going that route if they plan to be in Hong Kong long term. Yeah, the language thing will get you every time. Æ had heard of English-langugae schools but you’ve cleared that up nicely (you can tell how much research I put into this). Basically it looks like it would be $20k a year extra in living expenses at minimum, doubling in a couple of years when T catches up. Not to mention the cost of rental. That’s how I understand it… $20k per year per kid (and a little less at the ESF schools). We’ll end up saving a bundle on schools in the Netherlands because the Dutch government heavily subsidizes a number of state run international schools. I’ve only visited Hong Kong once, about 15 years ago, and the fact that there was green space at all, let alone countryside, was a huge shock for me, I was expecting wall-to-wall concrete. I understand now why so many people love it. 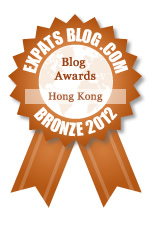 Somehow all that green space has managed to remain Hong Kong’s best kept secret! Nice to show up in a big, jumbled city and be surprised at how pleasant it is! The views over the bay and harbour are stunning! 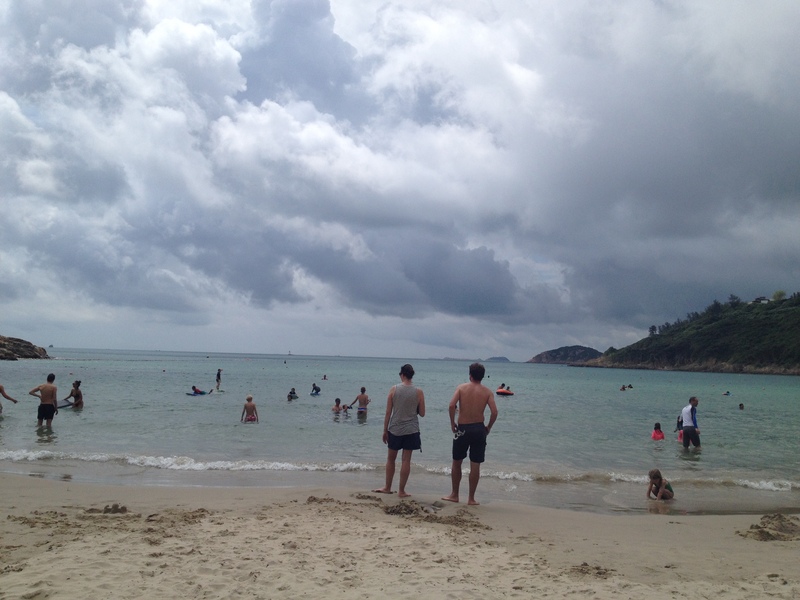 I studiously avoided including any pictures of beach trash (of which there can be a lot). 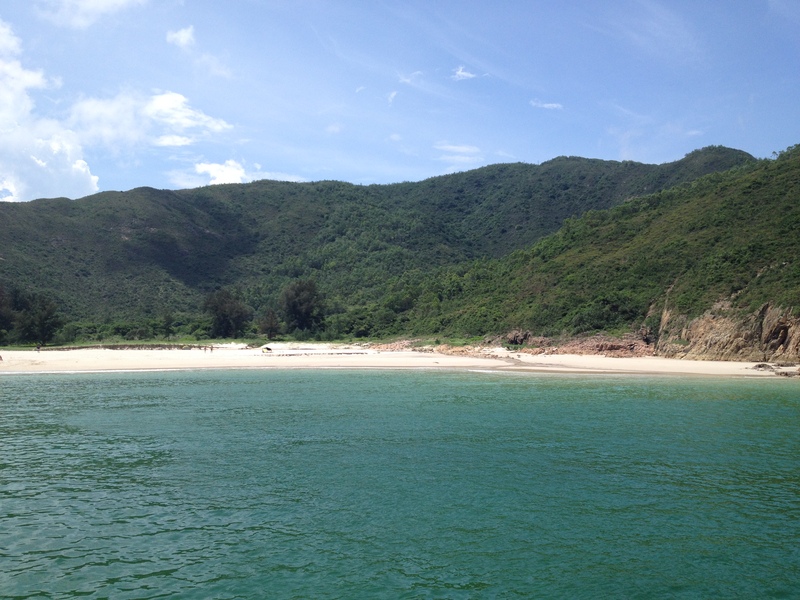 Hiking is great in Hong Kong, and yet in nearby Zhuhai I never heard of anyone hiking anywhere in the region. Did you ever hike there? Yes I did..! 🙂 But actually, it is not well-signaled, nor preserved… it’s more ‘raw’ hiking, if you prefer, in HK seemed to be more arranged, with the paths cleared, no trash, signalization and such… Also, mainlanders dont’ have those ‘western’ tastes on hiking or trekking, it seemed to me..! I also agree with loving this ‘other side’. I must get to Tai Po! 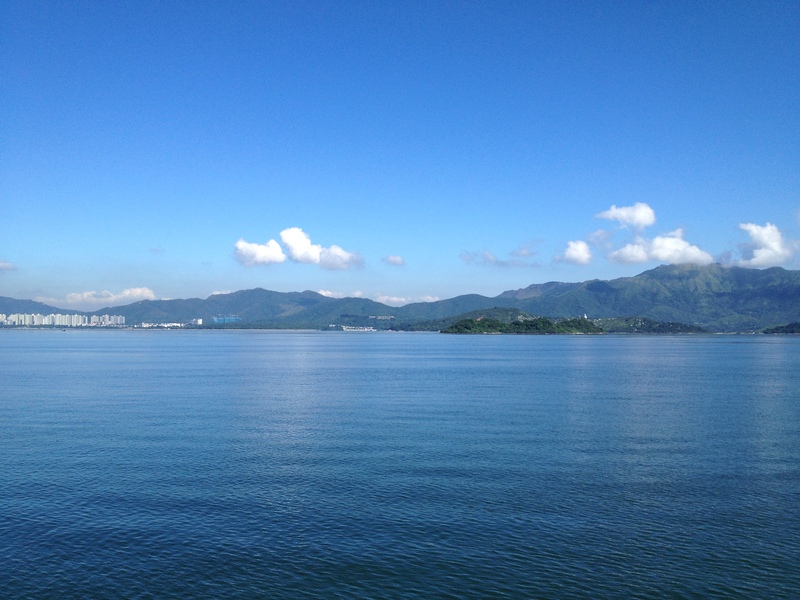 Lot’s of nice hiking in the Tai Po area! everyone,, enjoy HK’s green spaces while you can. Plans are in the works to totally bulldoze the nature conservatories to build more public/private estates. Currently it is being rammed thru Legistrature despite opposition from locals. Yes, the plans for the New Territories are rather frightening!